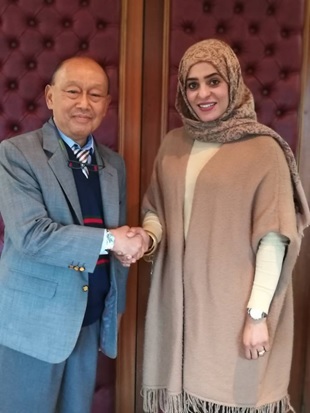 The Deputy Director General of the Islamic Educational, Scientific and Cultural Organization (ISESCO), Dr. Amina Obaid Ramadhan Al-Hajri, received on 8th & 9th of January 2018 in ISESCO Headquarters, Dato’ Dr. Samsudin Tugiman, the Chairman of ISTIC Governing Board, the International Science, Technology and Innovation Centre for South-South Cooperation under the Auspices of UNESCO. Talks during this meeting centered on ways to enhance the special cooperation relations between ISESCO and ISTIC, as part of the implementation of the Organization’s Three-Year Action Plan for 2016-2018. The Chairman of ISTIC also provided ISESCO with two of ISTIC’s publications which were designed by The World Academy of Science (TWAS) and an Annual Report of 2016. 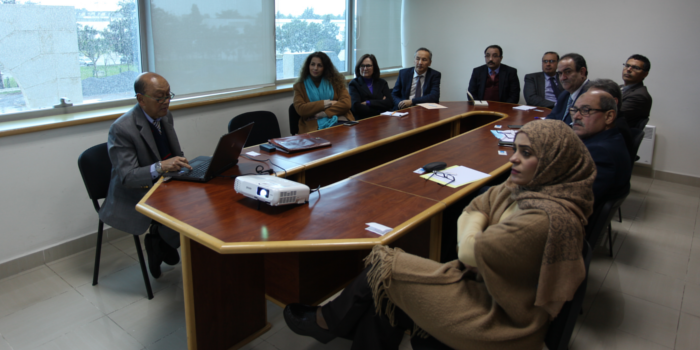 During his visit, Dato’ Dr. Samsudin Tugiman also presented the ISTIC’s mandate, achievements and future projects in the presence of a number of officials in ISESCO’s General Directorate. They discussed on how to enhance cooperation in areas of common interest between ISESCO and the Center.